Cape Breton Post / SYDNEY MINES, N.S. 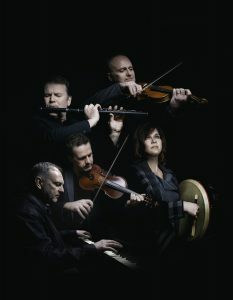 Canada’s Celtic ambassadors and Sydney Mines best-known musicians will be on the road this spring promoting their latest album. As always, the five MacNeil siblings — Lucy, Boyd, Stewart, Kyle and Sheumas — combine on a vast array of instruments including accordion, flute, guitar, piano, fiddle, bodhran, mandolin, banjo, Celtic harp, tin whistles and bouzouki with Jamie Gatti on bass. While the cross-Canada tour begins on May 23 in Huntsville, Ont., members of the Barras will also be performing locally in a series of shows. Kyle MacNeil will perform in the Membertou Trade and Convention Centre show “Tribute To The Fiddlers Past” on Thursday at 7 p.m.; Lucy MacNeil will perform in “Island Girls” at the Savoy Theatre in Glace Bay on April 21-22 with Bette MacDonald, Heather Rankin and Jenn Sheppard, also at 7 p.m. The whole group will be on hand May 3 at the Scotiabank Centre in Halifax for the East Coast Music Awards Show. Their next local show will be on Aug. 1 at St. Andrew’s Presbyterian Church, Sydney Mines. Tickets will be $30 and will be available starting May 1. On Aug. 2, they will perform at the Markland in Dingwall and on Aug. 30, they will play at la Place des arts Père-Anselme-Chiasson Cheticamp.